If I could try one thing today, it would be Magic Leap. It's just so tantalising, the mixed reality demo videos, the tiny number of people who have tried it and been permitted to write it up, the kooky hype from its CEO. The latest early verdict isn't quite so gushing as the first few pieces. The Information says "Magic Leap may have oversold what it can do" as it has details from former employees saying that the tech that enables the cool demos won't be in the first product that goes on sale. To be fair to Magic Leap, it has labelled its videos when they are "shot directly through Magic Leap" or made with Weta Workshop special effects. But a few details make it seem like the claims are unravelling a little. For instance, it wasn't made clear that the 'Just another day at the office' video was created entirely with special effects as essentially a concept. Sure, the startup has raised an enormous $1.4 billion to make its Magic Leap Lightfield technology a reality but just quite when we get our hands on something that can produce mixed reality on a par with the demos is another question. Microsoft's HoloLens has had its own problem, specifically with field of view. Its demo footage always makes it look like the overlaid virtual elements take up more space in your line of vision when in fact they are trapped in an AR box. Still, Microsoft has managed to build and ship a first gen mixed reality wearable, albeit a $3,000 one. The new report also questions which tech will be used in the first product. It now looks like it won't be the fiber-optic technology because this isn't possible in a device that is more smartglasses than a helmet form factor like the prototypes. Clearly responding to The Information's article, Magic Leap CEO Rony Abovitz put up a blog post to try and calm concerns. "All of us are pouring very long hours, heart, and soul into making something new – how we will enable your digital and physical worlds to come together in a very personal, social, and magical way," he wrote. Abovitz said that Leap has built its first product equivalent device, and is soon to put its supply chain to test. "There is also a lot more going in our development of software, applications, cool creative experiences and overall operational readiness," he added. "Stay tuned – the fun is just beginning." He also went on a bit of a Tweet storm. There's still no release date - there are some rumours of something happening at CES 2017 - but that decision is crucial not just for this one company but for the future of augmented and mixed reality. CEO Rony Abovitz is still saying that ultimately this type of technology will replace not just phones and tablets but computers and TVs too. And yes, I want to try it more than ever. 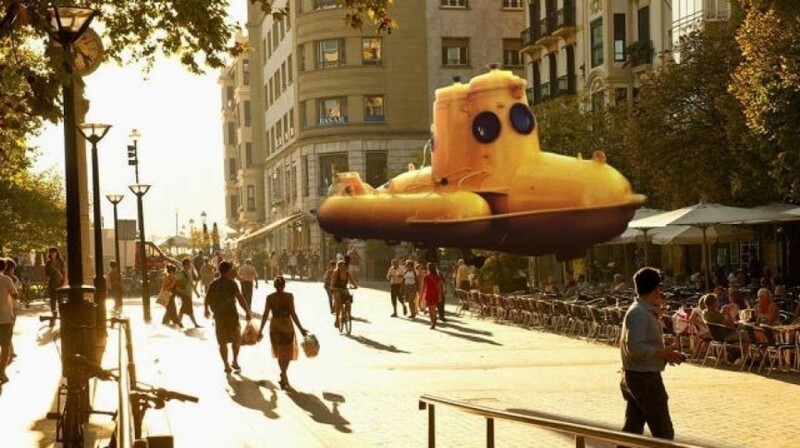 Are you still excited about Magic Leap? Or are you calling vapourware?